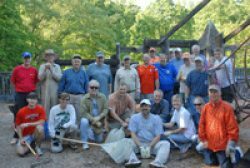 Originating as the club's 75th anniversary project, Auburn Rotary Club has committed to an annual clean-up work day at Hickory Dickory Park. 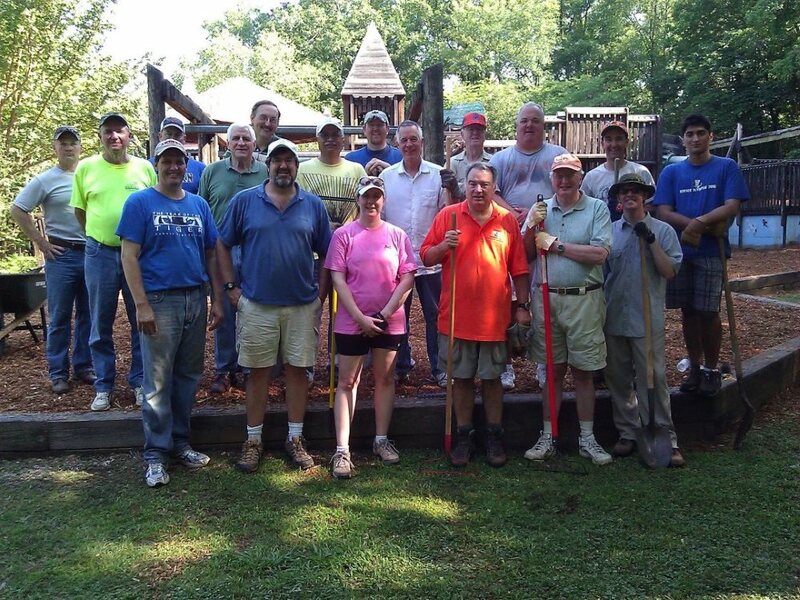 Originally Hickory Lane Park, the park was renamed in 1999 after the current park play structures were built solely by community volunteers. 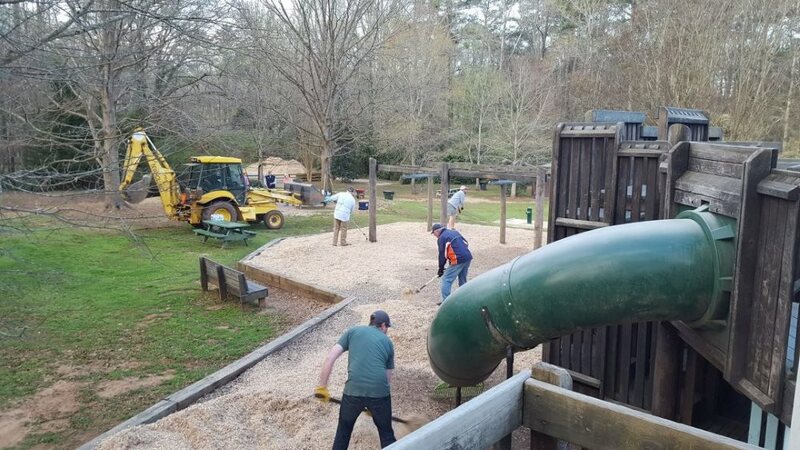 The park is located near the intersection of Hickory Lane and North Cedarbrook Drive in Auburn's Cary Woods neighborhood. 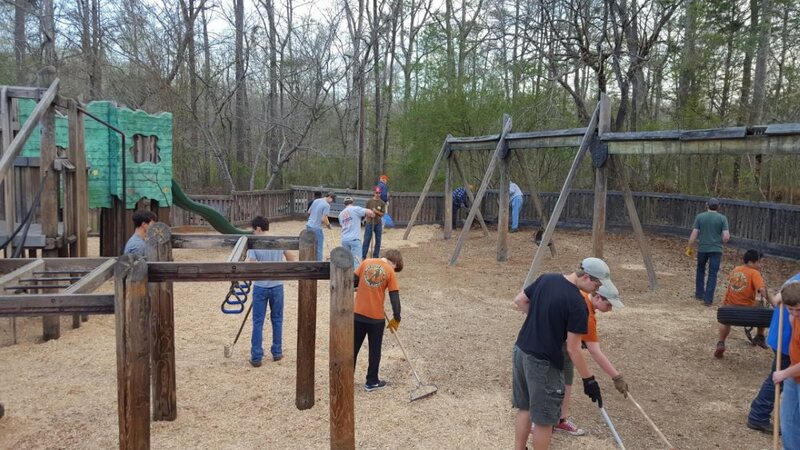 Starting out as an annual club project, the Hickory Dickory Park club clean-up effort is now a standing Rotary committee as part of the club's community service committees. 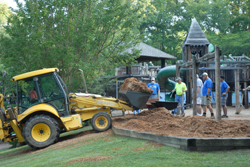 Park-improvement projects include planting new trees and shrubs, remulching play and landscaping areas, cleaning playground equipment, and general park repairs. 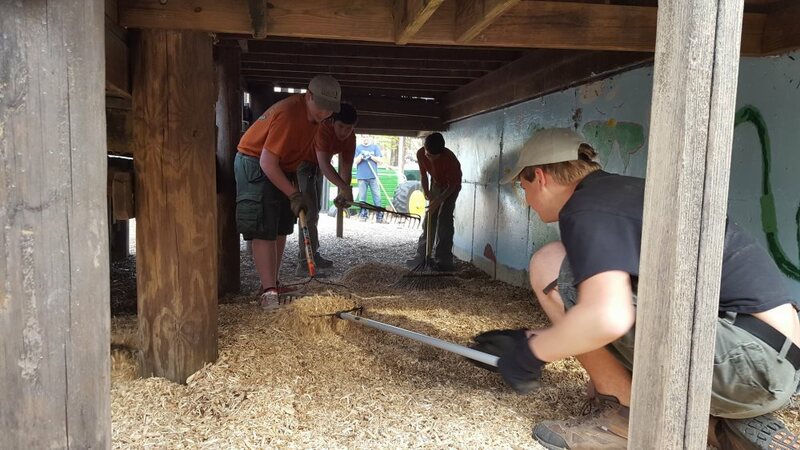 Each year club members replenish mulch in the playground's three primary play areas and sprayed protective treatment on all wooden playground equipment. 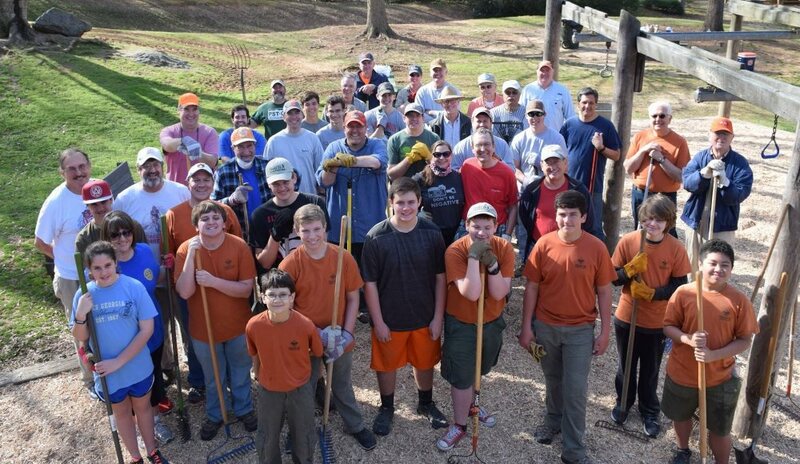 Want the opportunity to serve with your fellow community members? Fill out a Rotary Membership Application today!